Looking for a permanent birth control option? 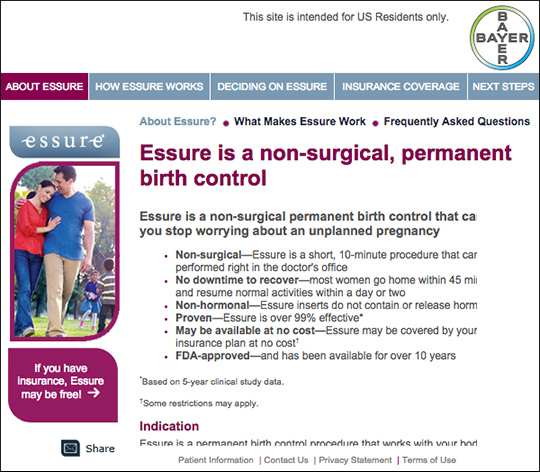 Essure® may be the right choice for you. This is a procedure that seeks to permanently prevent pregnancy using a simple, but highly effective method. 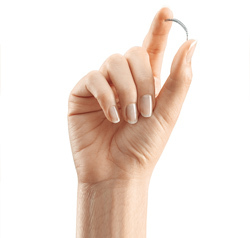 Why do patients love Essure®? • Highly effective (advertised as 99% effective). • No downtime - Return to work the following day. The procedure is growing in popularity as more and more women begin to see the many benefits it can offer. Dr. Torbati is a certified Essure® specialist that can perform the procedure in his office as out-patient, meaning you will be free to leave following the procedure and may return to normal activities the following day. Dr. Kamran Torbati is a practicing, licensed OBGYN that provides the highly advanced Essure® tubal ligation non-surgical permanent birth control contraceptive option at his private practice located in Tarzana, CA 91356 extending to nearby residents in Van Nuys (91401), Encino (91316), Reseda (91335), Woodland Hills (91357), Northridge (91324), and more.